It surprises me a single car in America is sold. With all the shouting, screaming and “Buy from me”, I would prefer to build my own. Self promotion is a very slippery form of marketing. All the best self-promoters, use or used proof, not braggadocio to make their case. It goes back to the Bible. Moses backed up his claims with the ten plagues. “Nashville’s Best BBQ Caterer” is a lousy headline…unless it’s part of a testimonial. What you say about yourself is quickly dismissed. What others say about you is the gospel truth. A well worded testimonial builds instant credibility that would otherwise take years to create on your own. 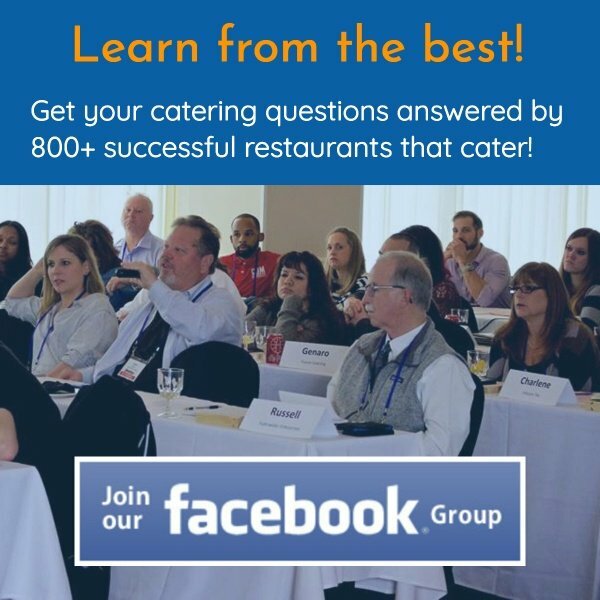 That is why the use of testimonials is critical to your success in selling catering. Please stay with me, as I will be spelling out the exact formula for testimonial success. First, ask for testimonials. The best time to ask for a testimonial is right after an event. You’ll know it; the client who comes up to you at the end of a catering and can’t stop praising you. Tell them thank you and ask for a testimonial. If a corporate client, you’ll want the testimonial on their letterhead. That takes the burden off the client. You’ll never get ahead without taking charge. Stop there? No way. Thanks to Flip Video cams, and the great video cameras on phones, get a video testimonial on the spot. Someone may question the written words, but the voice, body gestures and words on a video are transparent. You can’t fake that. I have embedded two recent video testimonials into this blog article. Watch them. There is a formula that works in selling. Notice how there is a before and after. Before I found RCS…then after. When capturing catering testimonials, you want your client, if applicable, to tell their story of what life was like before they used you…and what it’s been like after. “Before we used Bob’s Deli, the other delis we tried out made my life so difficult. I had to leave messages and was always worried about getting a returned call. Some times they showed up on time and some times they were late. (ran out of food, forget things, etc. show a little pain). You get the idea. Even if you don’t get an Academy Award testimonial like my script, a few sentences of sincere praise goes a long way. Now how do you leverage these testimonials? 1. Use them in your advertising: Place an excerpt within your catering menu. Use them in ads, sales letters, marketing pieces, business cards and four walls marketing. 2. Use many of them: If one testimonial in a catering sales letter is good, ten testimonials tip the scales to the “yes” side. 3. Use them on your website: Having tons of video testimonials on your website reverses the risk for someone just starting to research caterers. 4. Niche Them: Ten great smoking hot testimonials are wonderful, but what impact does ten testimonials from different, prominent retailers have on a Black Friday catering promotion sent to other retailers? It is HUGE! I know. Whenever possible, I try to niche my testimonials. You want the “Hey. They’re one of me” impact. 5. Post Them: I made color copies of all my catering testimonials, framed them and hung them in the lobby of my restaurant. Now what if no one will give you a testimonial (after asking)? Maybe it says something about your business. Fix it. Give your clients something to “wow” about. 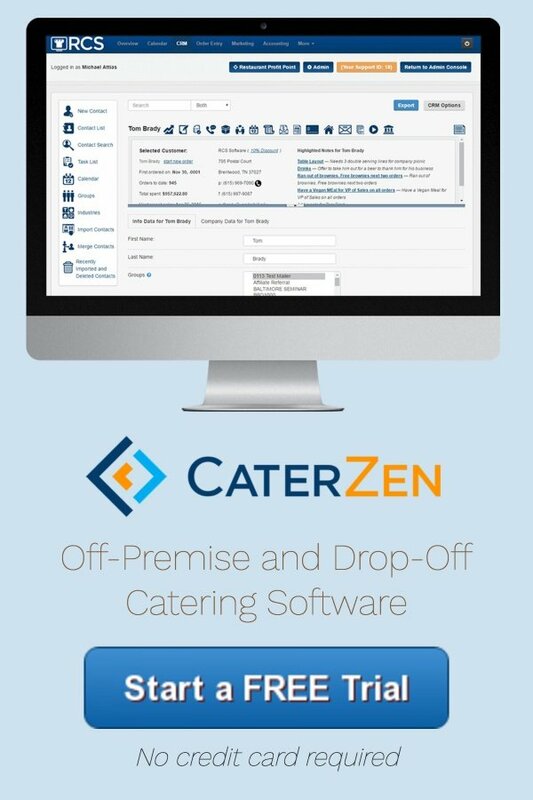 Now if you have a testimonial about what we have done to help you grow your catering business through our catering software and systems, please send it in. Need me to write it? Email me. Want me to video tape it? I’ll send someone to your restaurant.